Here is a little update to this story! 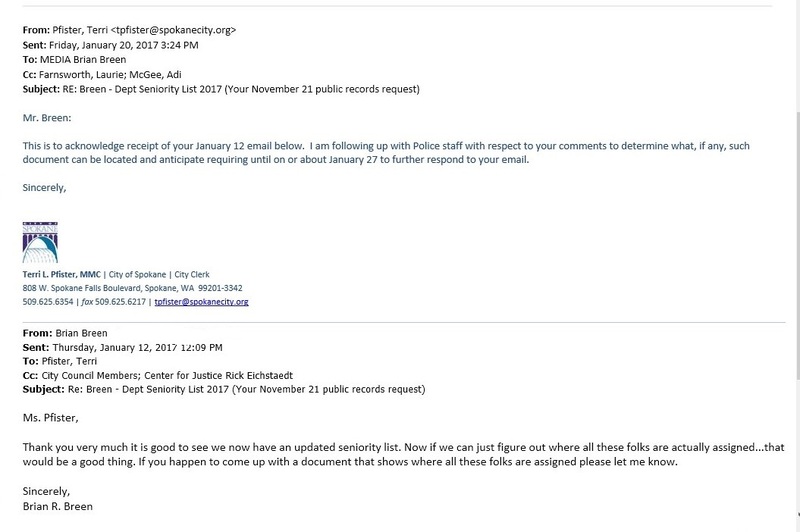 It seems that Ms. Pfister, or more likely someone above, decided that maybe it would be a good idea to reopen my Public Records Request that she had closed. On another important update regarding this story I have not yet received the required five-day response from Ms. Pfister, but I expect it sometime next week. 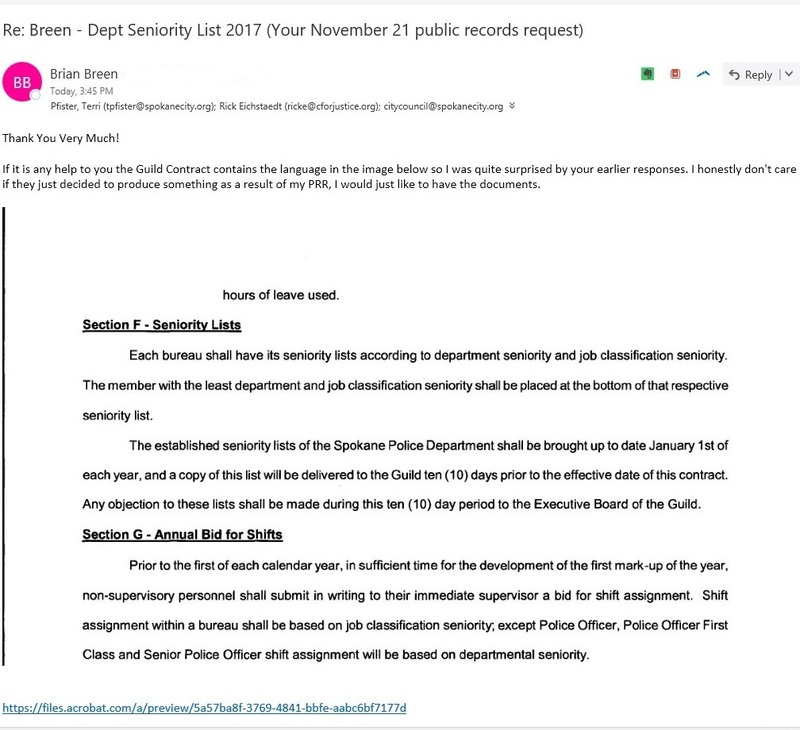 Sources tell me that SPD and the City are having a difficult time trying to figure out once again how to deal with another Buffalo Breen PRR, since the IA case involves deplorable conduct on the part of Officer Mc McMurtrey toward a Minority suspect which the SPD “Suspended” … instead of Facing up and Fessing up it is understandable they wouldn’t want the public to know. It might take some time, and perhaps another court battle but I’m willing to go there.